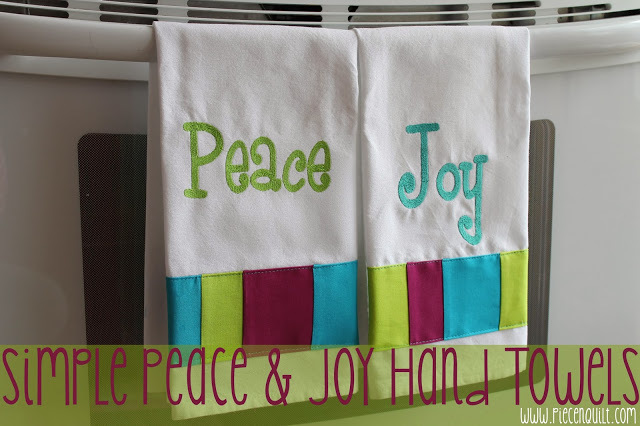 After Kathleen and I made the Holly & Jolly hand towels earlier this week we couldn't stop! So I've got a couple more to share today! Peace & Joy! To make these fun hand towels simply download our the Peace & Joy embroidery files. Then grab some Moda Bella Solids, green, blue and purple, cut them into random sizes and sew them together in a strip. 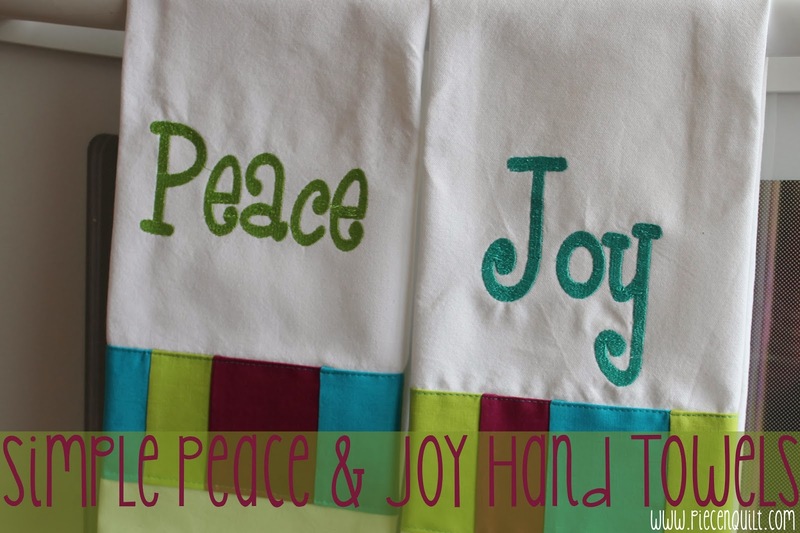 From this point you will follow our tutorial for the Holly & Jolly hand towels. Tea-towels are available for purchase here. Merry Christmas from Natalia & Kathleen!